The Federation of State Boards of Physical Therapy (FSBPT) offers the National Physical Therapy Examination (NPTE) for regulation and physical therapy licensing purposes. The test helps to ensure that the same standards apply from place to place. Before taking the exam, check with the applicable jurisdiction for eligibility requirements from physical therapy school. 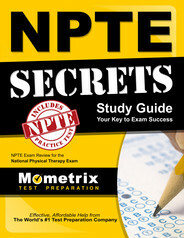 The NPTE test criterion-referenced assessment is taken via computer. 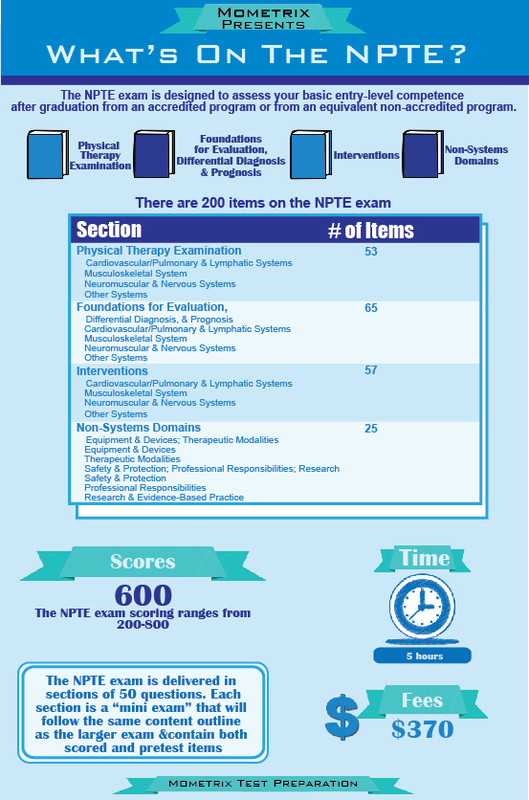 There are 250 questions on the NPTE test, and 200 of these will be used for scoring purposes. The remaining 50 questions are for pre-trial purposes to be used on future tests. Candidates will not know which questions are scored and which are not. The test is blocked into groups with 50 questions each, for a total of 5 groups. After a candidate finishes one group, he or she cannot go back to it to modify a response. Candidates can “mark” questions in the same section in order to review questions before completing a section, but candidates can only go back and forth between questions in the group of 50 that he or she is currently working on. The total score is based upon the number of correct answers, so it is better to guess (rather than leave it blank) if a candidate is unsure. A candidate’s total score will be in a scaled score range from 200-800. The minimum passing score is 600. The candidate’s final total score is converted from the raw score (the number of actual questions the candidate answered correctly) due to different difficulties of the different questions asked. If a candidate is unsuccessful, he or she may try again for a total of three tries in one year’s time. Some jurisdictions require a waiting period between attempts. 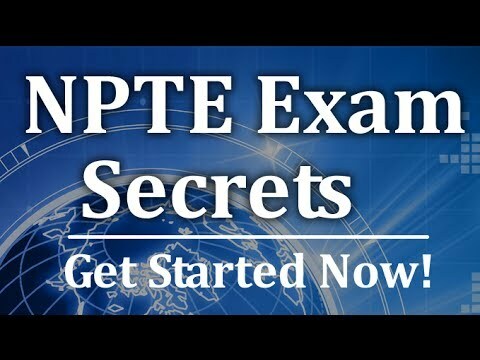 Ace the NPTE test using our NPTE exam study guide with practice questions. 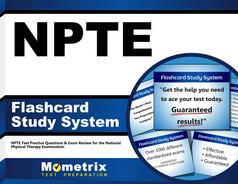 Quickly Solve Difficult NPTE Test Questions with the NPTE Flashcard Study System.